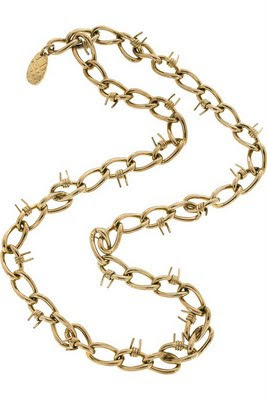 Fashionistas Daily .Com: Burberry Barbed Wire Check Tote & Barbed Wire Necklace - Preppy Chic Meets Downtown Edgy Vibe! 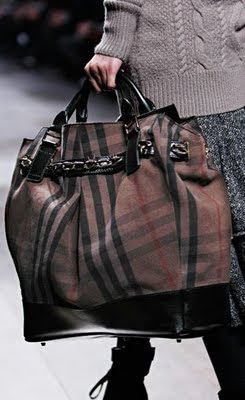 Burberry Barbed Wire Check Tote & Barbed Wire Necklace - Preppy Chic Meets Downtown Edgy Vibe! 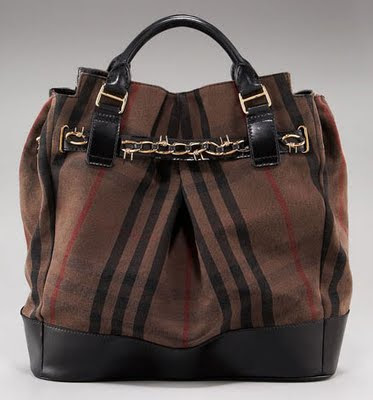 Signature Burberry plaid in dark brown, Inverted pleat on center front. 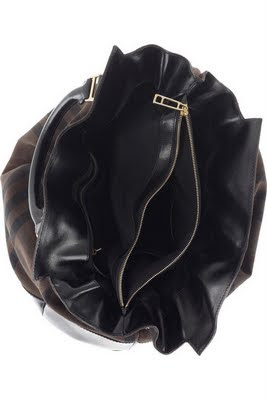 Inside, zip compartment with three open pockets & on top of the bag opening a decorative gold tone barbed wired chain. 17 1/8"H x 22"W x 5 7/8"D Made in Italy. 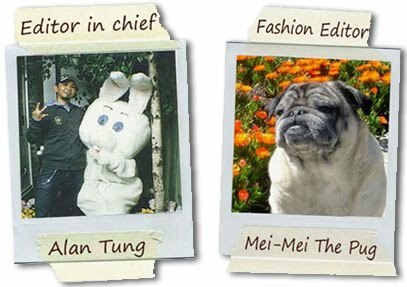 Click on the photo to see more info. I saw this bag in person at Nordstrom & Neiman Marcus. It's just the perfect size for everyday use! with that fabulous golden barbed wired detail on top of the bag, it's just a must have to any fashionistas!! Untill next time, look into your closet and see how can you update your preppy plaid/check outfits and add some edge and downtown cool to the look!